The Beacon tenpin bowling players, played for a staggering 12 hours at Tenpin Dudley in Castlegate Park to help raise vital funds for the bowling team. 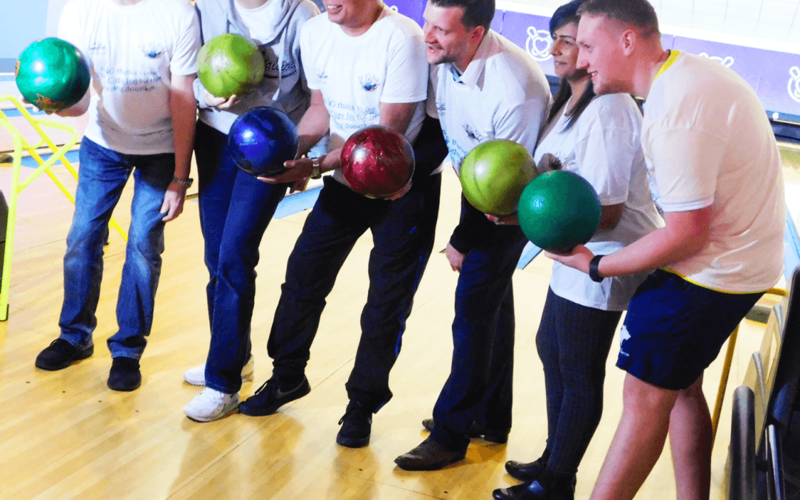 The challenge involved 30 visually impaired players from Beacons award winning bowling team who played non-stop with staff from Tenpin Dudley who also joined in. Players raised sponsorship funds from their local communities to help support their expansion and their efforts next season – raising a grand total of £2,500. The Beacon Community Sports programme helps many people learn new skills, pick up a new hobby and socialise in their community. The funds from this event will go a long away and help Beacon expand its efforts to support even more visually impaired bowling players. Beacons Tenpin bowling team has also reached the national finals which will be held in May and will involve players from across the country competing for the prestigious title of national champions.